Trading on signals can be a very good idea, but only as long as the service that provides the signals you trade on is both efficient and reliable. 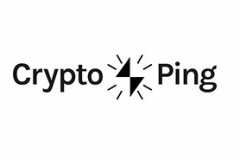 This Altcoin Trader VS CryptoPing comparison can help you determine which of these two trading signal services is more worthy of your money and trust. In trading signal service comparisons, the highest level of certainty can be obtained with the employment of clearly defined, objective, and rigorous criteria. We base our assessments on service quality, which encompasses the range of signals provided, the absence of delays, the responsiveness and helpfulness of the support staff, and other specific elements of the service. Other criteria include reliability, including verifiability and trustworthiness of the origin of the signals, and pricing, which should be reasonable and affordable. By calculating the average of the scores each service receives on all the aforementioned criteria, we determine the final scores and conclude which service constitutes a better option.